Download Kitematic, unzip it and double-click the application to run it. Opening Kitematic for the first time sets up everything you need to run Docker containers. 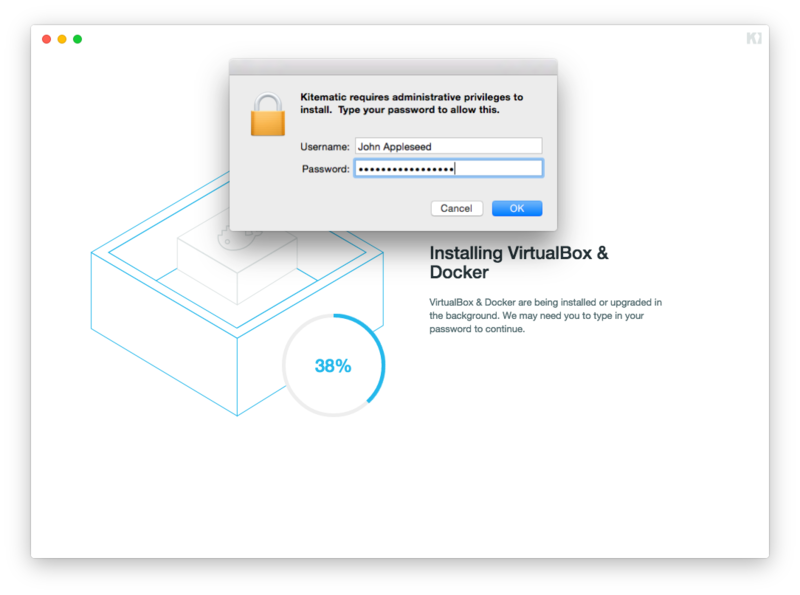 If you don’t already have VirtualBox installed, Kitematic will download and install the latest version. All Done! 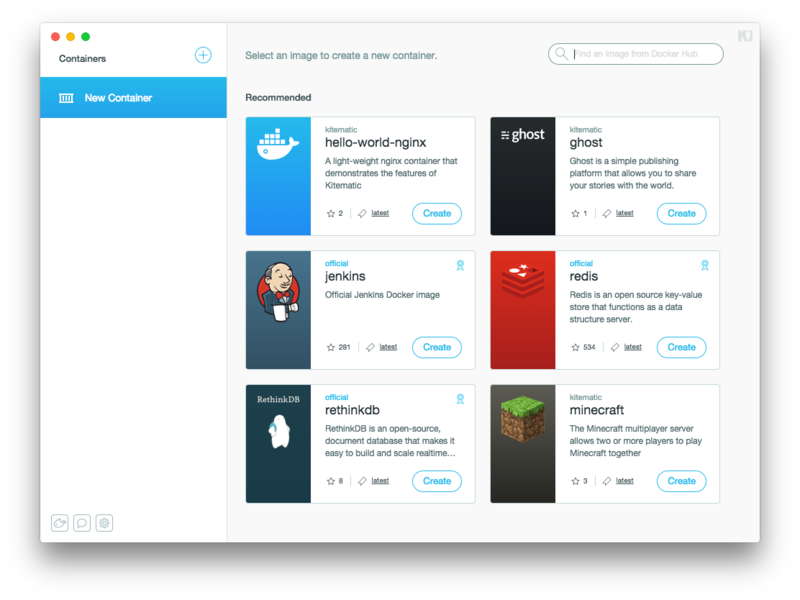 Within a minute you should be ready to start running your first container! It will install VirtualBox if it’s not already installed. It copies the docker and docker-machine binaries to /usr/local/bin for convenience. Why does Kitematic need my root password? Installing VirtualBox requires root as it includes Mac OS X kernel extensions. Copying docker and docker-machine to /usr/local/bin may require root permission if the default permissions for this directory have been changed prior to installing Kitematic.